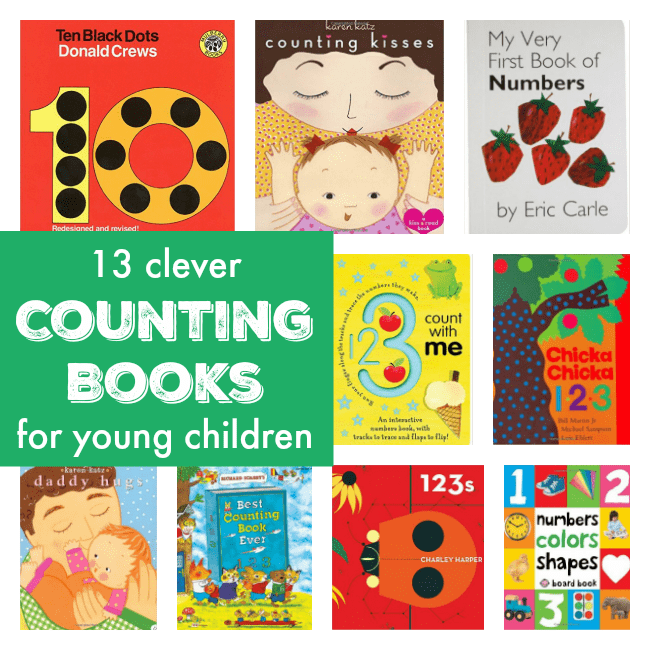 To accompany our super ABCs and 123s letter and math series, here’s a collection of brilliant counting books for children, full of bright colourful pictures and engaging read-alouds. 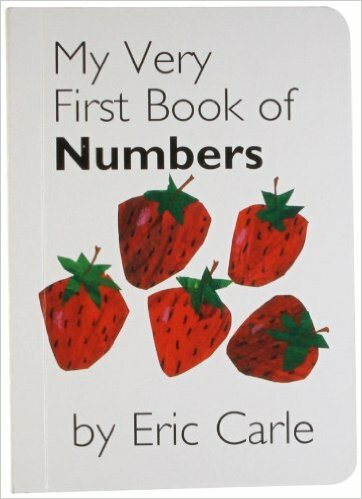 My Very First Book of Numbers by Eric Carle. This book features Carle’s classic art works and is a sturdy board book, making it great for little hands to hold. It’s split in half horizontally, so you can enjoy flipping the pages to match the numbers and objects, making it a more interactive and engaging read with young children. Find out more on Amazon. 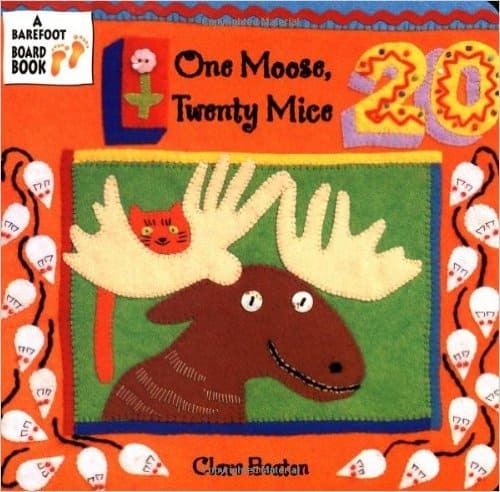 One Moose, Twenty Mice by Clare Beaton was recommended in the NurtureStore Alumni Facebook group by Nina. She says “Clare’s illustrations always use appliquéd felt with beads, sequins, lace and embroidery. The pictures convey real texture, depth and fun.” Beautiful! Find out more on Amazon. 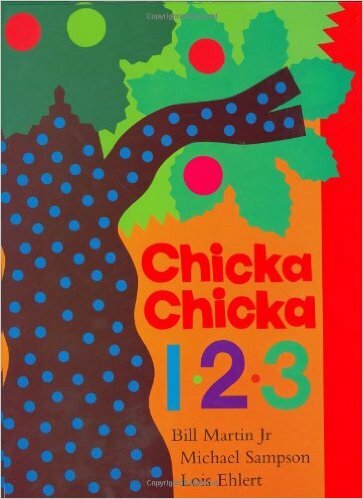 Chicka Chicka 1, 2, 3 by Bill Martin Jr. and Michael Sampson is of course from the duo who brought us the classic Chicka Chicka Boom Boom . 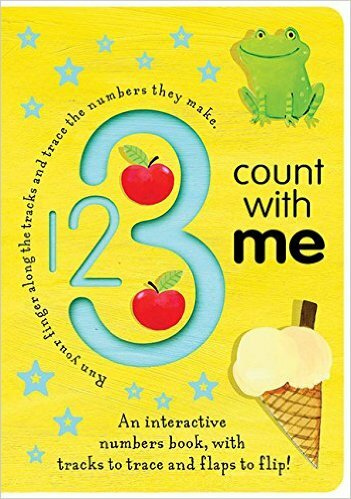 This counting book has great rhythm and rhyme. Find out more on Amazon. 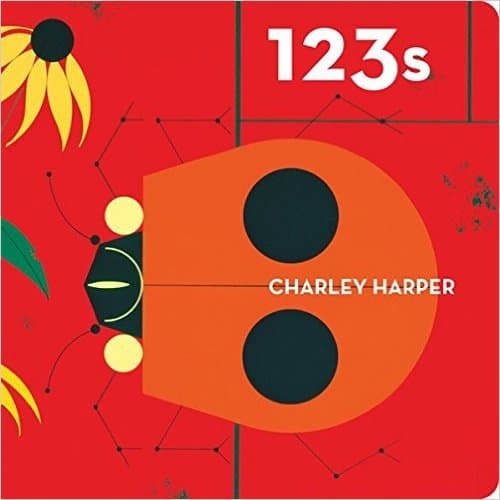 123s by Charley Harper was recommend by NurtureStore’s Alumni Facebook group member Christy who says she’s always loved his art work. The book does indeed have delightful bright, graphic illustrations of animals. Find out more on Amazon. 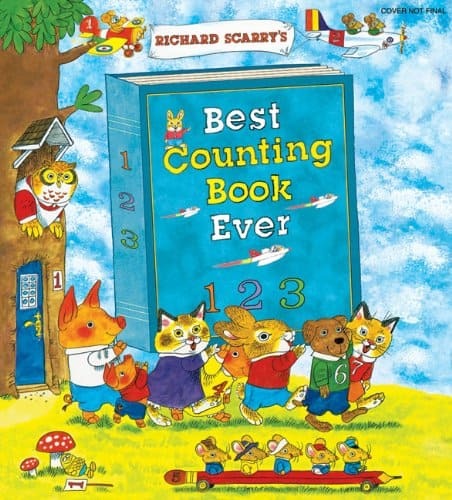 Richard Scarry’s Best Ever Counting Book has so much to see and count. The story also introduces simple addition and subtraction, as bunnies join together and them some head home. You’ll also meet some simple number facts, grouping and numbers up to 100. Find out more on Amazon. Numbers, Colors, Shapes by Roger Priddy is bright and colourful, with lots to look at and talk about. It features many everyday things your child will recognise. It includes colours and shapes too, and was a favourite read when my girls were little. Find out more on Amazon. 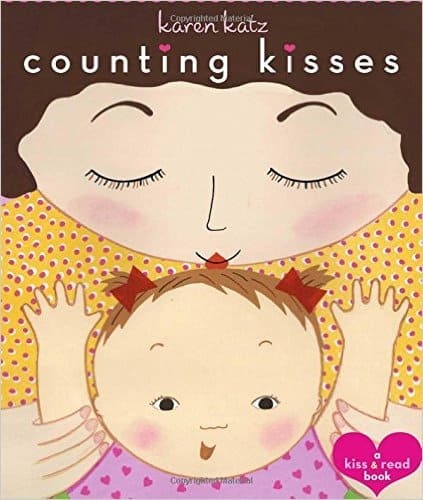 Counting Kisses: A Kiss & Read Book board book by Karen Katz is another great one. Reading books with your children is such a lovely opportunity for cosy connection, and so a ‘kiss and read’ book is pretty perfect. It has sweet illustrations and mummy, daddy, grandma and even the dog are included in the fun, making it a great read for all the family. Find out more on Amazon. 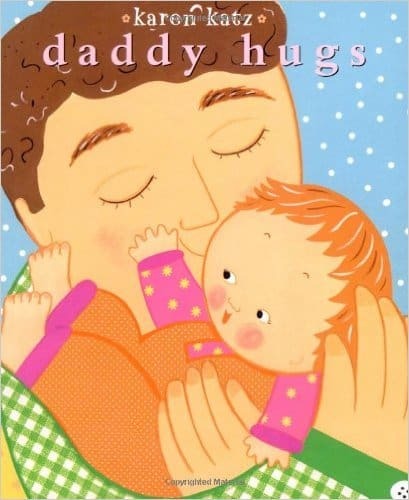 Daddy Hugs by Karen Katz Alongside the family kiss and count book above, this version features Daddy giving hugs. A lovely book for a new dad or to buy for Father’s Day. Find out more on Amazon. 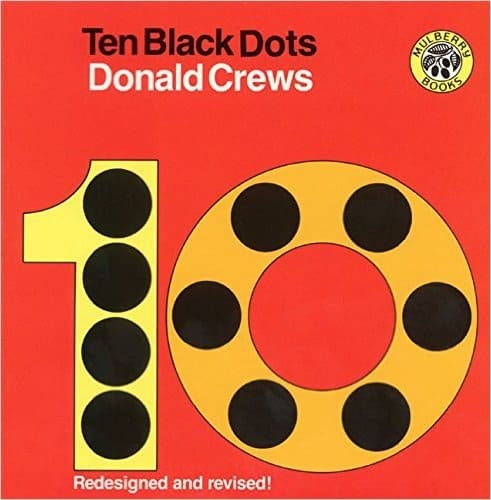 Ten Black Dots by Donald Crews. I love the vintage look of the illustrations in this book, which was originally published in 1968. It’s a great one to pair with an art activity – cut out some black card circles, get some inspiration from the book, and see what you can make with all your dots. Find out more on Amazon. 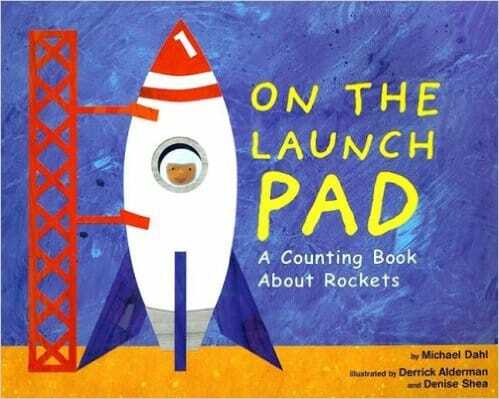 On the Launch Pad: A Counting Book About Rockets by Michael Dahl If you have a child who loves rockets, try this counting book. The story and illustrations are simple, and you’ll find the number as a word, digit and as spots to count. There are hidden numbers to find through the book, and the numbers are a countdown so you can blast off! Find out more on Amazon. 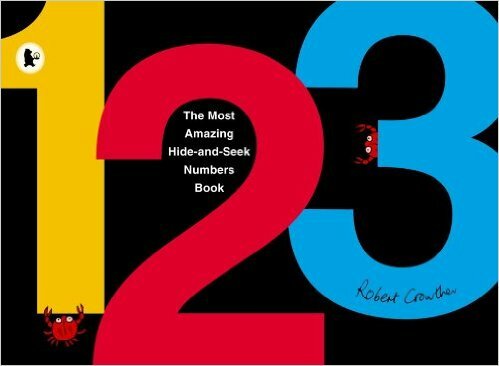 The Most Amazing Hide-and-Seek Numbers by Robert Crowther features the numbers one to 20, and then works in tens up to 100. There are lots of flaps and tabs to make it a really interactive book. It’s great for the 3+ gang as some of the tabs are delicate. Find out more on Amazon. 1 2 3 Count with Me (Trace-and-Flip Fun!) 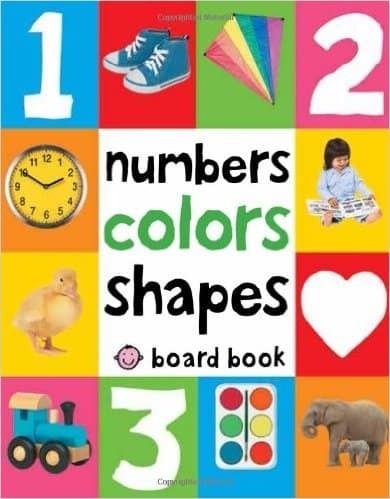 by Georgie Birkett The great feature of this book is that children can run their finger along large, grooved numbers, so they are learning the shape and feel of the numbers as they read. This is great touchy-feely idea, similar to sand/salt tray writing that you often see in a Montessori setting. Find out more on Amazon. 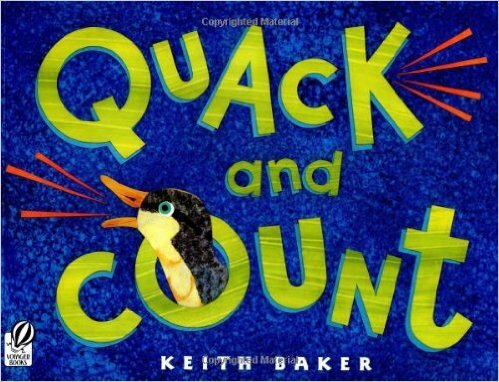 Quack and Count by Keith Baker has a lovely rhythm and rhyme. It’s a really good one if you have children of mixed ages, as your younger child can focus on simply counting the ducklings, while your older child might like to have a go at the simple addition sums that are included. Find out more on Amazon. 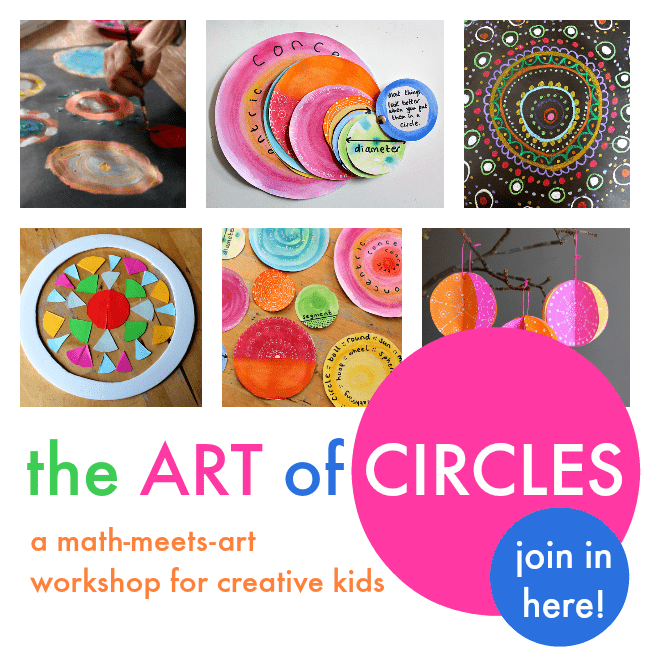 And for math-meets art resources, join my ART of CIRCLES workshop.